Dubai Culture & Arts Authority (Dubai Culture), the Emirate’s dedicated entity for culture, arts, heritage, and literature, is participating in Gitex 2018, taking place at Dubai World Trade Centre from October 14–18. During the event, which brings together leading technology companies from around the world, the authority will highlight a range of its services and digital solutions offered to its customers year-round. 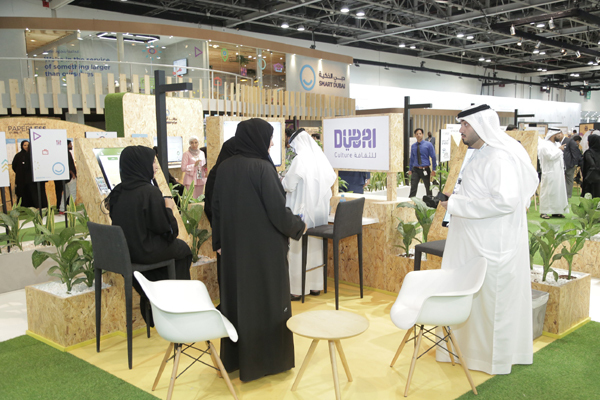 Through its pavilion, visitors will be able to learn about the Dubai Culture and public libraries applications and the implementation of the Creatopia platform. The authority’s representatives will also provide a detailed explanation of its website that provides visitors with a wide range of information about the authority’s background, stages of development, and regular initiatives to serve the different sectors. Both the Creatopia and Etihad Museum websites will also be displayed. The exhibition is also an ideal platform for Dubai Culture to highlight its on-going pursuit of innovation and excellence, the introduction of historical and cultural landmarks, and the various cultural events that the Emirate embraces throughout the year. Dubai Culture's participation in the Middle East's premier technology event aligns with the directives of HH Sheikh Hamdan bin Mohammed bin Rashid Al Maktoum, Crown Prince of Dubai and Chairman of the Executive Council, to transform the Emirate to a smart city via the Smart Dubai initiative.